Nicholas Sandmann and his parents have followed up their defamation lawsuit against The Washington Post with one filed Tuesday against CNN. 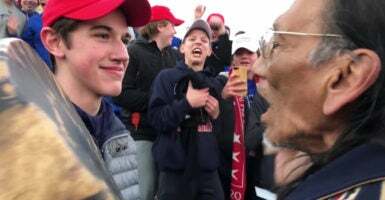 Sandmann, you’ll recall, is one of the Covington Catholic High School students savaged by the left after attending this year’s March for Life in Washington. The lawsuit also claims that CNN falsely accused Sandmann and his classmates of surrounding Native American activist Nathan Phillips, creating “a really dangerous situation” that caused Phillips to “fear for his safety and the safety of those with him” as the teenagers “harassed and taunted” him. Full-length videos of the scene showed that none of this was true. In fact, as the lawsuit points out, it was the Black Hebrew Israelites who “bullied, attacked, and confronted” the students with racist and homophobic slurs and threats of violence. The videos also show that it was Phillips who forced his way into the student group and then “proceeded to target” Sandmann, not the other way around. Moreover, the suit notes that, as of the date of filing, CNN has never “issued a formal retraction, correction or an apology” for its false coverage. The complaint is almost 60 pages long and describes in great detail the disparities between CNN’s reporting and what actually happened on Jan. 18 in front of the Lincoln Memorial. And that is the key to winning a successful defamation suit—showing false factual claims as opposed to expressions of opinion, no matter how unfair or unjustified. When compared to the mistakes The Washington Post made, Sandmann seems to have an even stronger case against CNN, which seemed to go all out to vilify Sandmann. Since Sandmann would not be considered a “public figure” under applicable Supreme Court precedent, he doesn’t have to prove that CNN knew the statements were false, just that they were false. Sandmann’s lawyers make a strong case, though, that CNN acted with “actual malice” and that the network’s behavior was so “outrageous and willful” and such a violation of basic journalistic standards that punitive damages should be awarded. 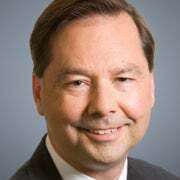 Interestingly, one of the lawyers representing Sandmann is Lin Wood, the same lawyer who represented Richard Jewell. Jewell was the security guard at the 1996 Atlanta Olympics who was wrongly accused by CNN and other media companies of bombing the city’s Olympic Park. When CNN was sued for defamation, it agreed to pay Jewell an undisclosed amount. That settlement came shortly after NBC agreed to pay Jewell a reported half-million dollars. Pursuing one media giant after another as Sandmann and his family are doing is the very same strategy that Wood followed in the Jewell Olympic bombing case. CNN may lawyer up and spend a great deal of time and money fighting this case. On the other hand, it may decide to quickly settle, just as it did after defaming Jewell.